SUDBURY — Nearing the one-quarter mark of the season the Northern Ontario Junior Hockey League’s top two clubs in the standings are showing to be among the elite when it comes to winning percentage. The front-running Soo Thunderbirds sit in the top five among the 128 teams that comprise the entire Canadian Junior Hockey League in win percentage. They enter action this week tied for fifth overall among squads who have played 10 or more games so far this season at .808 with the defending Royal Bank Cup champion Penticton Vees of British Columbia. Meanwhile the North Bay Trappers, who are in second spot in the NOJHL standings currently one point in arrears of Sault Ste. Marie, are 11th in the CJHL with a .769 win mark. Leading the way nationally are the Brooks Bandits of Alberta who are a perfect 12-0 to start the season. Three other CJHL squads are close to joining the list, but have yet to play 10 games on the campaign. The Maritime Hockey League’s Truro Bearcats are also unbeaten at 8-0 while a couple of Saskatchewan Junior Hockey League clubs in the Flin Flon Bombers and Yorkton Terriers have played nine games to date and boast winning percentages of .889 and .833 respectively. WEEK 6: A relatively light week in the NOJHL kicks off tonight in Sudbury as the Nickel Barons try and put an end to a three-game losing streak whenthey welcome the Kirkland Lake Gold Miners to McClelland Arena. Only three other games are on the league docket for the remainder of the week with two of those contests slated for Friday. One of those match-ups features Kirkland Lake at home as they host the Blind River Beavers at Joe Mavrinac. Friday’s second encounter sees the Elliot Lake Bobcats paying at a visit to Essar Centre in Sault Ste. Marie to take on the Thunderbirds. Week 6 in the NOJHL concludes Saturday with the Beavers heading to Iroquois Falls to tangle with the Abitibi Eskimos. All four games this week get underway at 7:30 p.m.
STREAKS: A number of NOJHL skaters have solid point streaks on the go as we enter the second quarter of the 2012-13 campaign. The league’s leading point producer, in Sudbury’s Darcy Haines, has reeled of points in each of the 11 games he has played so far this season registering 13 tallies along with 12 assists. His goal total also tops the NOJHL. Haines’ Nickel Barons teammate Sebastien Leroux has also reached double digits with a 10-game point streak recording six goals while setting up 15 others in his run. He sits tied for second league scoring. One of the hottest players in the league at the moment is Soo Thunderbirds forward Darcy Casola. Casola has got on the score sheet in seven consecutive games picking up eight goals along with six assists moving into fourth in league scoring. Joining Casola with a seven-game point run is Samuel Blanchet of North Bay as the Trappers forward has five markers and four assists to his credit. Another member of the T-Birds in forward Adam Ritchie is riding a six-game point streak accumulating three markers and seven helpers during his run. He is knotted for second in offensive production in the NOJHL. Derek Battagin of the Soo is sporting a six-gamer in points registering a trio of tallies and eight assists during his streak. A five-game point run is presently held by Thunderbirds Josh Borgen as he has three goals and seven assists to his credit in his last five outings. POWER PLAY PRODUCTION: For Steven Babin of the Kirkland Lake Gold Miners, scoring with a man advantage has been advantageous. Of the eight times he has found the back of the net this season, five of them have come on the power play, which ties him for the league lead with the Soo’s Darcy Casola. The Gold Miners have a total of 12 man advantage markers on the year while the Soo have 16. Maddison Smiley (Brooks, AJHL) and Dalen Hedges (Nepean, CCHL) currently pace the 128-team CJHL in power play goals with seven apiece while eight others across the country sit with six each. Babin and Casola six next among a group of 20 skaters in the CJHL with those five extra man efforts. NOJHL THREE STARS: A big week for both the Soo Thunderbirds and North Bay Trappers has allowed both teams to overtake the Sudbury Nickel Barons atop the NOJHL standings. Some top-end individual performances from players with both teams also shuffled the deck within the NOJHL top 10 scoring race, with players from both front-runners highlighted in the presentation of the “NOJHL Three Stars of the Week” for the period ending on Oct. 14. GREG SARTORETTO – SOO THUNDERBIRDS: After enjoying a very impressive season with the T-Birds in 2011-12, Greg Sartoretto took a little longer to get himself untracked offensively in his return this fall. Based on his breakout performance last week – eight points in three games – Sartoretto is clearly now back on track. The 20-year-old Sault Ste Marie native jumped to third in team scoring cracking the NOJHL Top 10 this week. TREVOR HUNT – NORTH BAY TRAPPERS: The North Bay Trappers boast the league’s most balanced attack, with no less than eight players already into double digit point production. Preparing to celebrate his 20th birthday this coming weekend, Mississauga native Trevor Hunt vaulted into second place in that grouping after registering seven points in four games. Acquired from the Brampton Capitals of the OJHL, Hunt is showing the way in terms of goal-scoring with the North Bay crew, drilling nine markers in his first 13 games. COREY MCEWEN – BLIND RIVER BEAVERS: Nineteen year-old forward Corey McEwen becomes the first member of the Beavers to crack the NOJHL Stars of the Week after scoring a pair of key goals last week, helping his team to an impressive win and tie record against Sault Ste Marie and North Bay. Born in the United Kingdom while his father and coach, Doug McEwen, played professionally overseas, McEwen enjoyed back-to-back multi-point games for the first time this year. He is now exceeding the point-per-game plateau with 10 points in nine outings with the Beavers. The five-day event will be held at North Bay Memorial Gardens April 30 through May 4. It will feature the Trappers along with the champions of the NOJHL, Ontario Junior Hockey League and Superior International Junior Hockey League taking part. CJHL TOP 20: The top two clubs in the Northern Ontario Junior Hockey League standings both received accolades in the latest Canadian Junior Hockey League Top 20 rankings. Coming in at No. 14 overall in the listings are the defending NOJHL and Dudley-Hewitt Cup champion Soo Thunderbirds while the North Bay Trappers garnered Honourable Mention laurels. With 21 points and a 9-1-1-2 record the Soo currently sits atop the league standings one point ahead of second place North Bay, who boast an 8-1-2-2 overall mark. The rankings, which are comprised each week in conjunction with NHL Central Scouting, and are based upon a variety of factors including the league in which the teams belong to as well as regular season results. For a third consecutive week the Brooks Bandits of the Alberta Junior Hockey League were tabbed as the No. 1 team overall while sliding into the No. 2 slot are the Flin Flon Bombers of the Saskatchewan Junior Hockey League followed by the Truro Bearcats of the Maritime Hockey League at No. 3. The following are the CJHL Top 20 (As of Oct. 15, 2012) with the league they are members of in brackets. Honourable Mention: North Bay Trappers (NOJHL); Victoria Grizzlies (BCHL); Portage Terriers (MJHL); Toronto Lakeshore Patriots (OJHL); Smiths Falls Bears (CCHL). 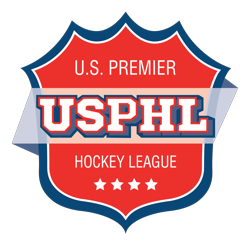 The CJHL is an amalgamation of 10 Junior A hockey leagues from across Canada. 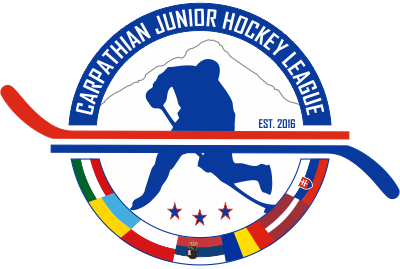 More information on the CJHL can be found by clicking on the league website www.cjhlhockey.com. ABITIBI ESKIMOS – The Eskimos lone NOJHL game this week goes Saturday as they host Blind River at Jus Jordan Arena. … Abitibi is in a stretch where they will be the home team in eight of their next 10 games. … Richard Therrien has points in six of his past seven outings to maintain the club lead in offensive production. His team-high 15 points has him tied for sixth in NOJHL scoring. … Therrien’s 11 tallies are a tie for the second most in the NOJHL. … Zach Innes has a four-game point streak on the go picking up eight points. He is second in team scoring with 11 points. BLIND RIVER BEAVERS – Blind River takes to the ice twice this weekend with road games at Kirkland Lake Friday and Abitibi Saturday. The Beavers have a 2-4 record on the road so far this season. … Paul Muio has points in four straight contests and continues to average a point-per-game on the campaign with 11 in as many outings. … Forward Corey McEwen has picked up at least one point in seven of his last eight games. …12 games into the season Blind River sports a 3-7-1-1 record. …Eight of the Beaver’s next 11 games will be played away from home. ELLIOT LAKE BOBCATS – Elliot Lake only has one game scheduled this week and it goes Friday in Sault Ste. Marie as they meet the first place Thunderbirds. … Four of the next half dozen contests for the Bobcats sees them playing away from Centennial Arena. … Nicholas Tassone has picked up points in four straight games. He leads Elliot Lake in offensive production with 10 points overall on five goals and as many assists. … Elliot Lake has allowed the most goals in the league overall so far this season at 66. They have also notched the second fewest markers in the NOJHL at 31 … When scoring first in a game the Bobcats are 2-0, but 1-9 when the opposition strikes first. KIRKLAND LAKE GOLD MINERS – The Gold Miners open up their two-game stint this week tonight at Sudbury before hosting Blind River Friday at The Joe. … Kirkland Lake remains in fourth place in the standings NOJHL standings at 6-5-0-1. … They are 5-5 in their past 10 games. … Connor McNally is knotted for eighth in league scoring with 14 points. He has a modest three-game point streak going. … Steven Babin is tied for the NOJHL-lead in power play goals with five. … The club is third in the league for fewest goals allowed at 37. … Chris Komma is third in NOJHL goals-against average at .2.54 and tied for fourth in save percentage at .911 while playing the second most minutes at 637. NORTH BAY TRAPPERS – North Bay is the only team in the league not slated to play this week. The Trappers return to game action Oct. 27 when they head to Iroquois Falls to meet Abitibi. … North Bay has allowed the fewest amount of goals in the NOJHL so far at 33. … Goalkeeper Greg Dodds remains a big reason for the club’s defensive play. The 20-year-old netminder has registered a solid 8-2-2 record. … Dodds leads the NOJHL in save percentage at .925 while playing the most minutes of any netminder at just under 738. He is second in goals-against average at 2.28. … Samuel Blanchet is riding a seven-game point streak. … North Bay is 5-0-1 when forward Graham Pickard registers at least one point in a game. … The Trappers received Honourable Mention laurels in the latest CJHL rankings. SOO THUNDERBIRDS – The Thunderbirds are 6-0-1 in their last seven games picking up 13 of a possible 14 points to move into top spot in the league standings. … The Soo’s success saw them listed 14th in the latest CJHL Top 20 rankings. … The T-Birds are in the middle of a nine-game home stand having gone 3-0-1 in the first four with five more contests set for the Essar Centre before their next road outing Nov. 16 at Kirkland Lake. …Rookie netminder Joel Horodziejczyk continues to pace all NOJHL puck stoppers in goals-against average at 2.10. He is tied for second in save percentage at .913… The club has five skaters among the league’s top point producers. SUDBURY NICKEL BARONS – After starting the season 8-0 the Nickel Barons have dropped three straight. They’ll look to put the brakes on their winless skid this evening as they host Kirkland Lake. … In the eight-game winning streak Sudbury averaged 5.88 goals-per-game. In the three-game losing drought the club has only managed 1.33 goals-per-game. … 18-year-old forward Darcy Haines continues to lead the NOJHL in both goals and points with 13 and 25 respectively. Haines is riding an 11-game point streak. … Sebastien Leroux, who is tied for second in league scoring with 21 points, has registered a point in 10 straight. … 15 different skaters have scored at least one goal so far this season for the Nickel Barons. … Goaltenders Michael Muzyka and Alex Laino are fourth and fifth respectively in league goals-against average at 2.73 and 3.09. Both are in the top five in save percentage as well at .913 and .911.